Take Action Now: Following reports that the Trump Administration plans to redefine “gender” in an attempt to erase and silence transgender people, deny equal rights, and limit access to government services, it’s urgently important that we let trans youth know that they are valid, valued, and that we will rise up to protect them. Start by adding this “Rise Up for Trans Youth” Facebook profile frame your profile image in support of Trans Youth. According to GLSEN research, compared to other students in the LGBTQ community, transgender and gender nonconforming students face more hostile school climates. To learn more, see GLSEN's full research report and webinar on trans student experiences, and our report on trans students and school facilities, co-authored with Movement Advancement Project. Transgender Awareness Week from November 12 to 19, Transgender Day of Remembrance/Resilience on November 20, and Transgender Day of Visibility on March 31 are important moments for trans inclusion, to create safe and inclusive schools for trans students. But making school trans-inclusive is a year-round effort. Below is a wealth of resources that center trans and gender non-conforming students and educators. These resources share personal experiences and can help students and educators learn about gender diversity, pronoun visibility, trans students' rights, and inclusive curriculum and GSA practices. Looking for more? This educator webinar and GSA guide go deeper into how to support trans and non-binary students. What If Schools Taught Non-binary Pronouns? How Do We Make Math Class More Inclusive of Trans and Non-binary Identities? At the foundation of trans inclusion in school is an understanding of gender. 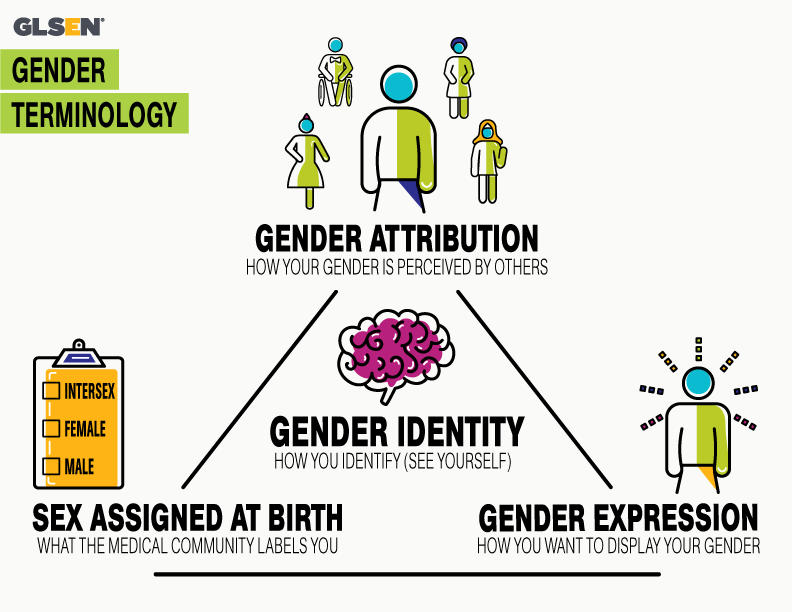 GLSEN's gender terminology guide and visual can help educators and students learn and lead discussions that can foster understanding of diverse genders. Part of this understanding is recognizing the importance of gender pronouns. Learn more by exploring GLSEN's pronoun resource, and offer pronoun buttons to make your school more trans-inclusive. You can also download and print pronoun stickers (he, she, they, blank) on Avery 5390 labels. To learn more about trans students' rights, see GLSEN and ACLU's Know Your Rights guide. If you face harassment or discrimination at school, make sure to #ClaimYourRights and report complaints to the U.S. Department of Education. Trans students, like all students, thrive when they see themselves reflected at school. This means teaching lessons and activities that include and represent trans identities both in the curriculum and in meetings of LGBTQ student clubs. Educators, want the latest resources sent to your inbox? Sign up for GLSEN's Educator Network!